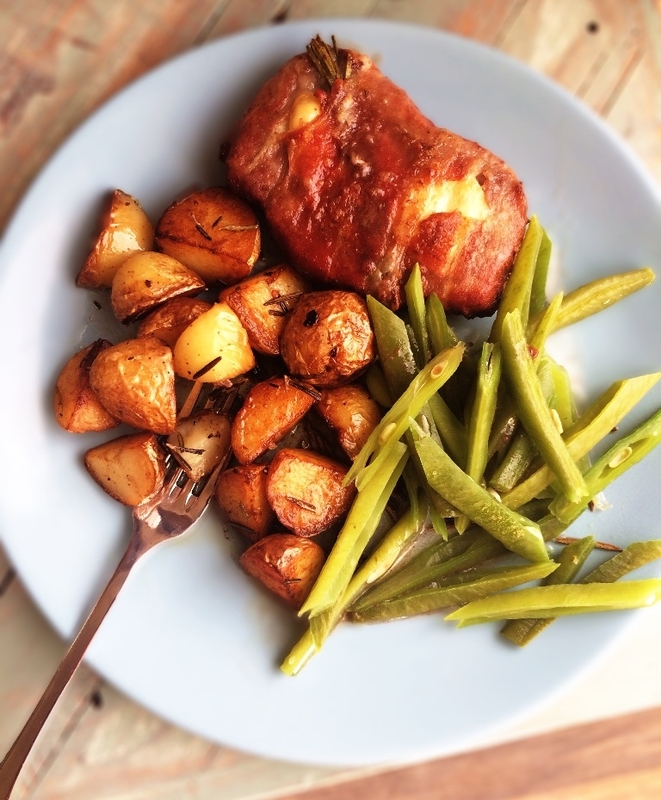 Always up for a double whammy of pork – this recipe of pork loin wrapped in Parma ham, served with English garden runner beans (fresh from the freezer from Mummy ‘E’s’ summer crop) topped-off this Britalian feast. 1 Preheat the oven to 220’C, 200’C fan, gas 7. Par-boil the potatoes for 7 mins until softened, drain and set aside. Meanwhile trim the loins of most of that fat. Flatten the meat slightly with a rolling pin. 2 Place 2 pieces of Parma ham, slightly over-lapping on a work-surface or chopping board. Top with a small sprig of rosemary and a piece of fontina cheese or Brie. Place the chop on top and wrap the the Parma ham around the pork loin. Repeat with the remaining loins. Pick the the leaves from the remaining rosemary and set aside. 3 Dust the pork loins in the seasoned flour. Heat the butter and oil in a frying pan. Put the loins in the butter, cheese-side down and cook for 1 min. Turn over and cook for a further 2 mins, until browned. 4 Pour the red wine over the loins and bring to the boil. 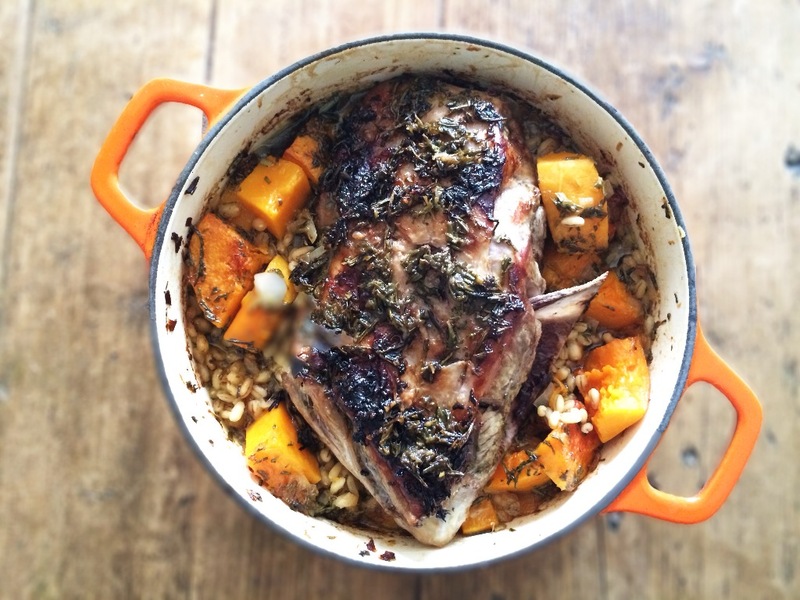 Transfer the contents of the pan to a small baking dish and cook in the oven for 15-20 mins until the pork is cooked through. 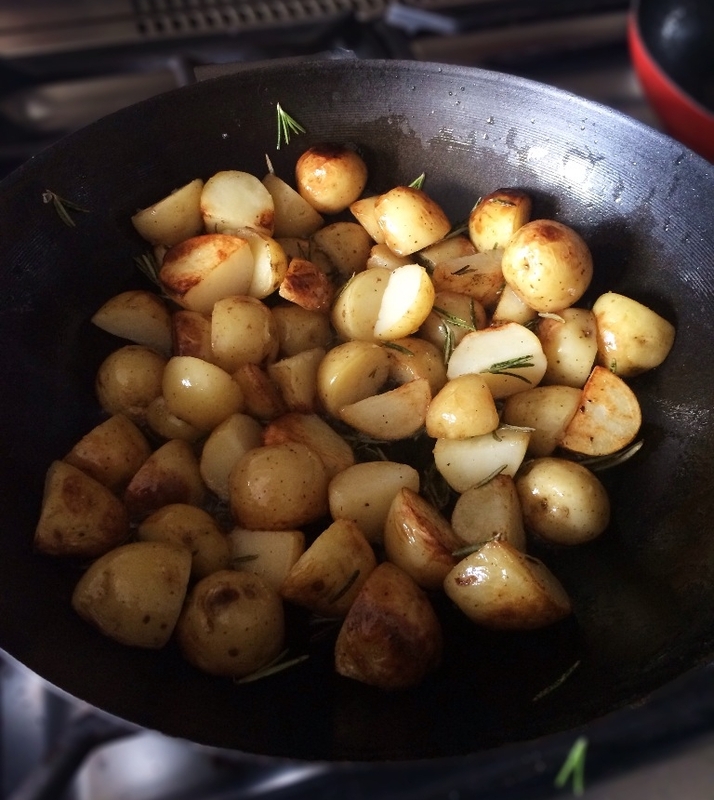 5 Ten mins before the end of cooking time shallow fry the potatoes with the reserved rosemary leaves until the potatoes are crisp, golden and cooked through. Serve with the steamed runner beans and the pork with the juices spooned over the top.